When it comes to an automotive locksmith, you can be sure he has the knowledge and experience to provide solutions for any type of locksmith related service you may need for your vehicle. Any type of work you may need for your vehicle, whether if it would be for having an ignition cylinder change, car lockout service, car key replacement, and more. Aside from knowledge and experience, an automotive locksmith in Portland has specialty tools and equipment to get the job done properly which helps to complete the job in a timely manner and in a cost effective way. Car keys can be an expensive item most of the time. If you go to the dealer, you most likely will end up paying a lot more than you thought it will cost to have a car key replacement done. In general, a dealership does not use anything special to make a car key replacement, at least not something that an automotive locksmith Portland company would use for a car key replacement. Yet they charge almost double the price and most times they won’t be able to provide you with the service same day. Most of the time, the dealership is under the impression that the consumer don’t have much choices when in need of a car key replacement, so they set high rates. A lot of car manufacturers are adding many features such as keyless entry and remote starts which they then charge a high rate when you are in need of a replacement. However, nowadays, some professional automotive locksmiths in the greater Portland area has access to parts such as remotes, key fobs, transponder keys and more as well as the equipment and tools to provide consumers with a reliable car key replacement service at an affordable rate. When in need of a car key replacement and considering the dealer as an option, you soon realize you may be better going with a different option such as an automotive locksmith in Portland. A dealership will charge you hundreds of dollars to have a simple car key replacement done. An automotive locksmith in Portland has the knowledge and tools to get the job done for a fraction of the price than the dealership. It’s the more reliable, faster and affordable option. If you ever got locked out of your car, you probably know by now that when you call an automotive locksmith Portland company for a car lockout service, they will send a technician to come to your location for the service, whether it is your home or somewhere around town that you happen to get stuck. Same goes for car key replacement services. 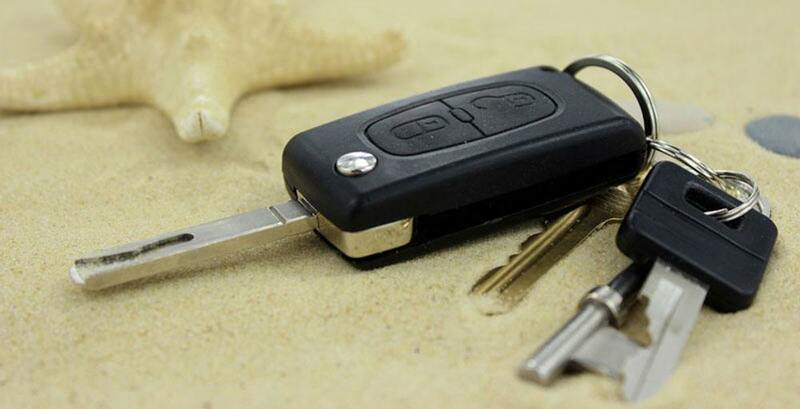 The locksmith will travel to your location to produce you a car key replacement on the spot saving you the hassle of getting your car towed to the dealership on most cases. When it comes to car key replacement, it can be considered as an emergency service as well if you are in need of such service after normal business hours or during the weekends. Most locksmith companies in the Portland metro area offer emergency services which means technicians are available 7 days a week including evenings to provide you with a car key replacement services.